Downtown Kyrenia is the Social point in Kyrenia. 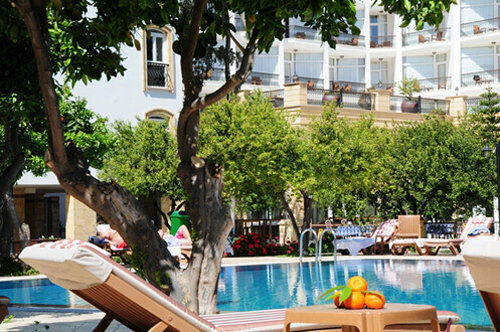 The charming Venetian harbour sets the mood for the town and the appeal for Kyrenia holidays. With its magnificent Kyrenia castle dating back to 111 BC it sends signals of a strong historical presence. Once a powerful protector of the island throughout the centuries, it now houses one of the world’s oldest shipwrecks. Admire the Byzantine and Venetian architecture, soaking up an impression of the crusades it has endured. Glance at the sleeping yachts, and stroll the cobbled streets to see the icon museum and old Kyrenia Turkish bazaar, a place oozing with charm, you won’t want to leave Kyrenia! 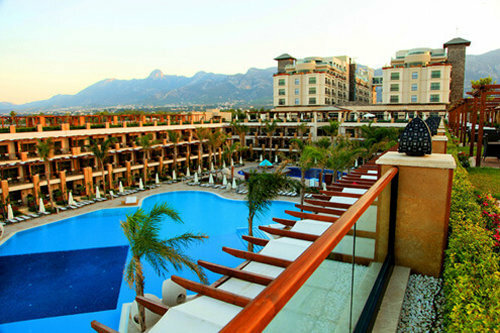 Kyrenia town centre has a varied set of Kyrenia hotels from small boutique, family run, to larger sea front hotels. 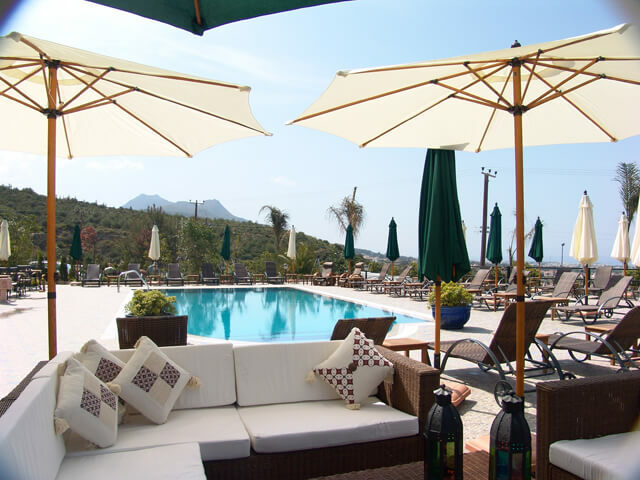 East Kyrenia leads to turtle beach where you can admire loggerhead turtles lay their eggs, and to the 18-hole Korineum golf course, a perfect place to unwind. Historic sites include The Hazreti Omer tomb, and the Buffavento castle, a fascinating site to take in the entire Northern Cyprus peninsula. 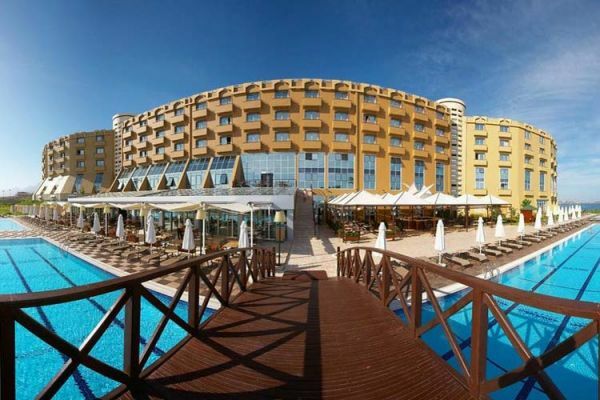 East Kyrenia has a small selection of Kyrenia hotels. 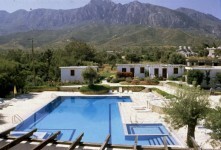 Bellapais is a quaint little village in the foothills of Kyrenia, popular for Kyrenia holidays. 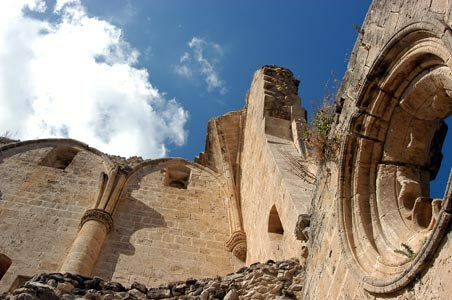 Setting a relaxing mood in the centre is the 13th century Bellapais Abbey, giving a poetic ambience to the sleepy surrounding streets and a perfect place to soak in the traditional Cypriot life. Inspiration to author Laurence Durrell writing ‘Bitter Lemons’, Bellapais village offers amazing views and a taste of traditional North Cyprus. 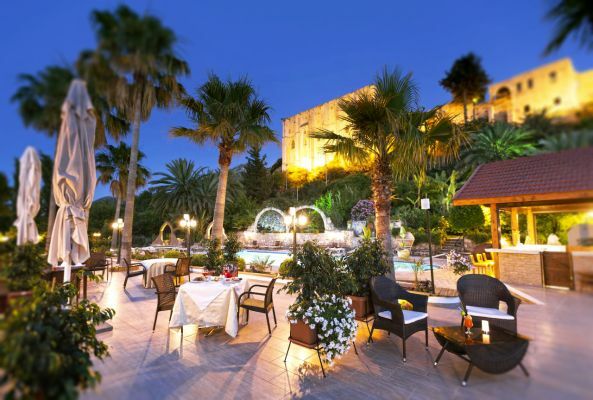 Bellapais hotels are few and boutique style complexes. 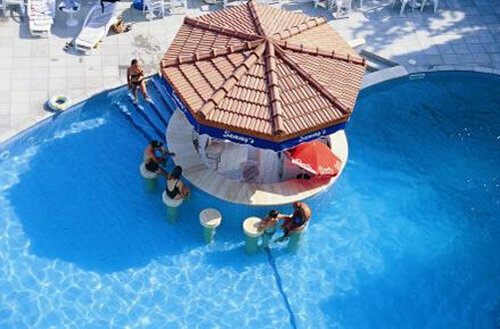 West Kyrenia is where you will find most Kyrenia hotels and it’s small sandy coves, and a host of restaurants. 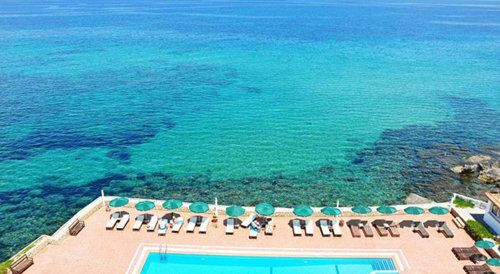 From beach clubs such as Denizkizi beach club, and Escape beach club, you will be spoilt for choice of where to dip into the crystal clear waters while on your Kyrenia holidays. Look up to the dramatic Mountain backdrop and you will see St. Hilarion castle staring down at you. 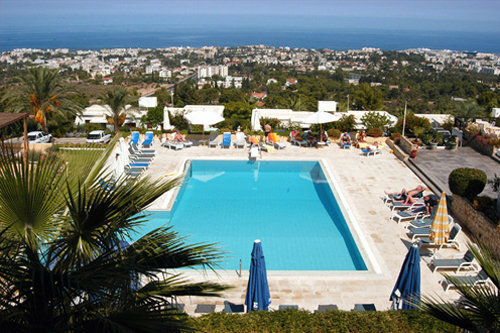 Take the temptation, and you will be delighted with amazing views of Kyrenia Coastline once you climb to the top. The Kyrenia mountain backdrop, authentic holiday experience with locals, amazing sandy coves, and a slow and welcoming pace of life make North Cyprus the ideal getaway for those looking for an authentic holiday in the Mediterranean. 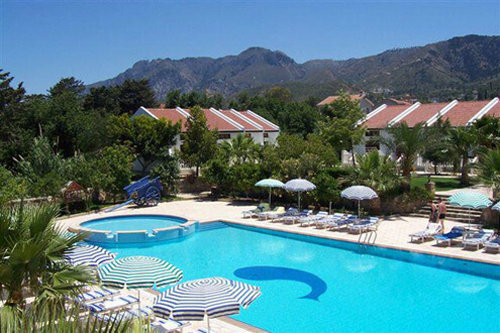 Kyrenia being the hub of tourism in Northern Cyprus, Kyrenia holidays are the perfect place with a combination of daytime activities and pleasant nightlife. 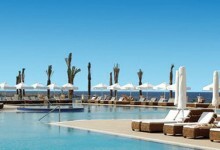 Kyrenia holidays deliver all that North Cyprus offers amalgamated into one resort town. Culture, history, sandy beaches, crystal clear waters, serenity, and wonderful hospitality. Must see attractions include Bellapais Abbey, St. Hilarion castle, Kyrenia Venetian harbour with Kyrenia Castle, mountain trails, the many fish and kebab restaurants in the area, beaches such as Escape beach and Denizkizi beach. In fact the list is extensive and only gives a glimpse of what is awaiting you, in the Med as it was decades ago. 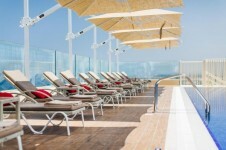 You can enjoy Kyrenia holidays in the extensive hand selected Kyrenia hotels Direct Traveller offers. 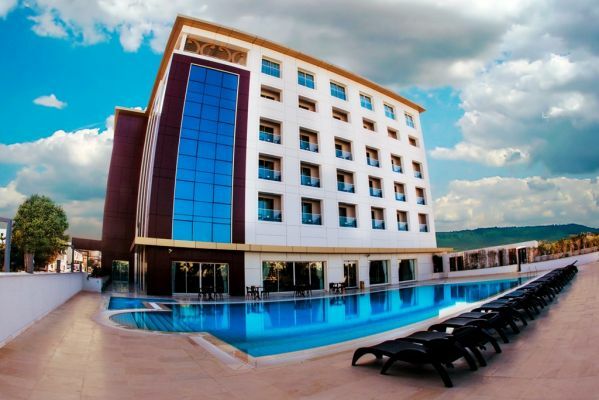 All hotels are available as a standalone hotel only reservation, or you can book Kyrenia holidays as packages including flights, hotels, transfers, and rep services. 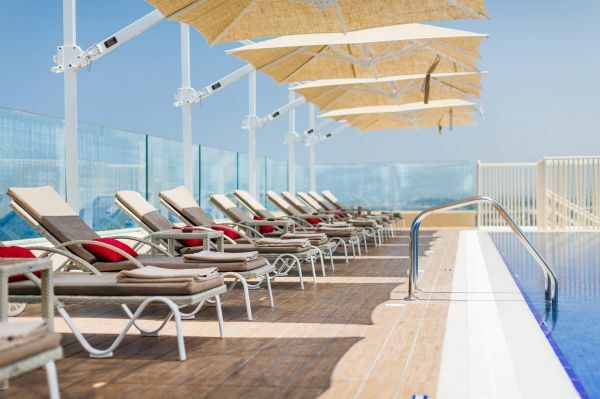 Our Kyrenia reps will be there for you throughout your holidays to ensure everything is running smoothly, and you can make the most of your holiday. You can also have the opportunity to book some excursions, if you so wish to explore North Cyprus, or book car hire to do your own exploring around Kyrenia and beyond. 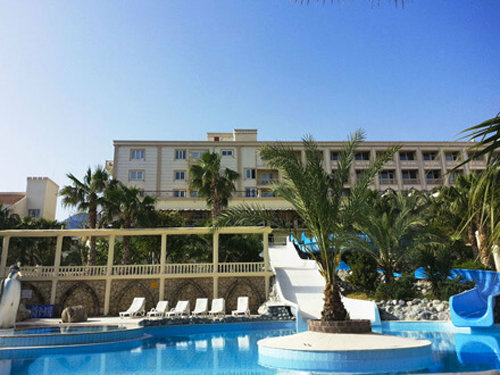 If you know where you want to stay on your Kyrenia holidays or not sure, you can search online or call us for personal advise, as we have visited all our Kyrenia hotels and stayed at most.